Click here to learn more about Novartis enrolling clinical studies. Or call Novartis Pharmaceuticals Corporation at 1-833-SCD-CALL (1-833-723-2255). Or visit sicklepaincrisis.com. 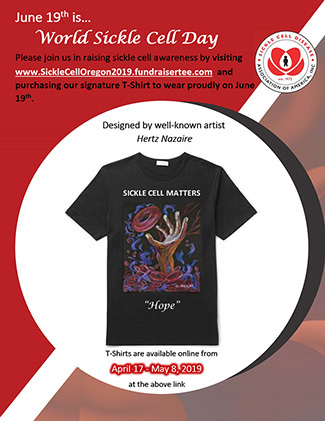 The Sickle Cell Anemia Foundation Of Oregon will be hosting “I AM WORTH IT!” Workshop Saturday, April 27, 2019, from 9:00 am until 12:00 p.m. Click here to learn more! Take Expecting Health’s Family Survey! Sickle Cell Disease is a devastating and painful condition that affects both children and adults. We need your support for better treatment and research. Give Today and join us in changing lives.